April traditionally allows us to begin welcoming better weather into our daily routines and April 2010 is already off to a promising start! There is plenty going on this week in Internet Marketing. 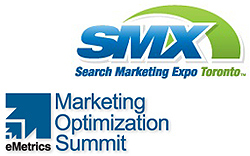 If you are a Toronto area company you may be interested in going to the SMX Toronto – Search Marketing Expo on April 8-9! We will definitely be there! Are you wondering what the state of the search marketing industry is in 2010? 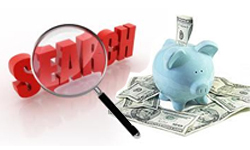 According to SEMPO, the SEM industry will grow 14% to $16.6 billion this year. Consider that at the very beginning of the century it wasn’t even a 1 billion industry and you can start to understand the dramatic growth. The sky is the limit. This is a must read article! What a great post by Yahoo! There are some really great suggestions found in this article to help assess your own website. Need help with keyword management tools? Want to perform an SEO Audit? In this industry there are always things that people will point at for SEO improvement. It just depends who you talk to. We find most (but not all) of the tools here to have some merit. We are witnessing the continued evolution of pay per click marketing with many of the innovations announced by Google in the last few months. Google explains many of the new features and innovations they have been releasing of late. The theme here is that the industry is getting more detailed. There is no better time to dive in — or allow your internet marketing company to dive in for you. One of the things I do on a regular basis is try to explain the potential value of being a part of the Google content network. If you are running Google Adwords already it is sitting there available to you at no extra charge! Many people still fail to see the value in placing ads on content pages around the world. This article provides some great information explaining some of the latest innovations. If you want to learn more please feel free to contact me! In my last weeks post I pointed to an article about the fall of the Yellow Pages. I also liked this article in helping you think strategically about the place for your company for Local Search. While the Yellow Pages certainly is no where close to being the most widely used medium for business search, this article does lay some merit to its use. I’m still not convinced the cost of Yellow Pages is worth it though! This weeks blog is a treat to read. I liked the articles posted here and more especially the ones on the Google content network and Local ad spending. Great insights DJ, as always!